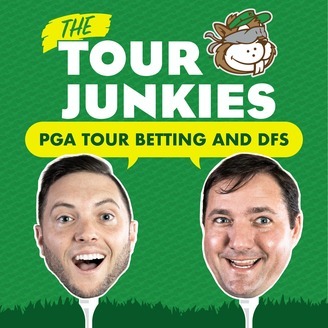 We preview every PGA Tour event with stats, analysis, picks, player interviews, caddie interviews & more to help listeners with all forms of fantasy golf and golf betting. This is Tour Junkies 101. We catch you up on all things Tour Junkies that have happened in the first 2 years. We talk about how we got started, the relationship between DB & Pat, early day struggles, our first few PGA Tour Pro interviews, and growing this thing from nothing. We fill everyone in on our branding, our blind squirrel mascot (Goalby) and the meaning behind it. We talk about some of our favorite moments on the pod (including some clips from the past) and fill you in on the inside jokes that we reference so frequently. This episode is designed to catch you up on all things TJ so you're not clueless. Whether you're a brand new listener or you've been following along since the early days, you'll enjoy this face to face chat over "Podcast Juice" between David & Pat. 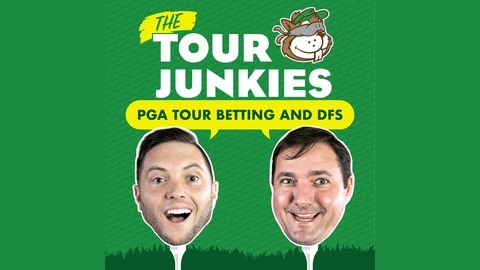 www.TourJunkies.com & check out the fresh content, learn about the guys & buy stuff from the TJ SHOP.